Founded in 2002, Chengdu Tongle Health Counseling & Service Center (Chengdu Tongle) is a self-governed MSM NGO in Chengdu, China. They are committed to addressing priority health concerns like HIV and AIDS, helping foster a sense of gay community and culture, as well as promoting gay rights. Consisting of 20 staff and nearly 500 volunteers, it is regarded as the largest LGBT NGO in China. These three elements are built into a single and one-stop service model. The first piece of this model is the three-dimensional HIV intervention through gay venues, social networks and the Internet. This enables the service to target different MSM with different socialising habits. In 2007, Chengdu Tongle launched their Ice breaking community-based counseling and testing project. Where they perform HIV testing and counseling to MSM by a well know community-based MSM NGO, rather than being tested at government agencies (like the CDC) or hospitals. Prior to 2007, because of the unique social and political environment, HIV counseling and testing were all implemented by the government-based hospitals. This is still the case for the majority of China now. Still to this day, there is a great deal of discrimination and concerns around privacy exposure. Chengdu Tongle was the first NGO to provide HIV counseling and testing to MSM in China, which is remarkably successful. Due to their high acceptability and follow-up rate, a self-support group was established to provide care service to PLHIV. In the year of 2011, Chengdu Tongle had provided support to 12,051 MSM, counseled and tested 1,972 MSM, and provided care to 651 MSM living with HIV. 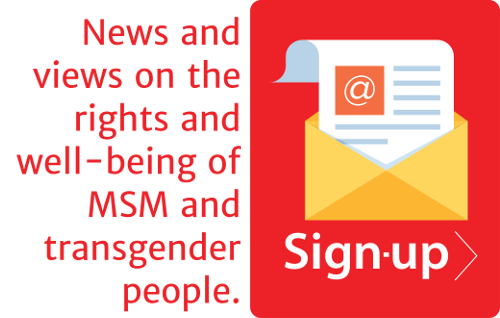 If you would like more information on China, including most recent HIV surveillance data and information on the legal environments for MSM and transgender people, please follow the link to the MSM Country Snapshot for China. 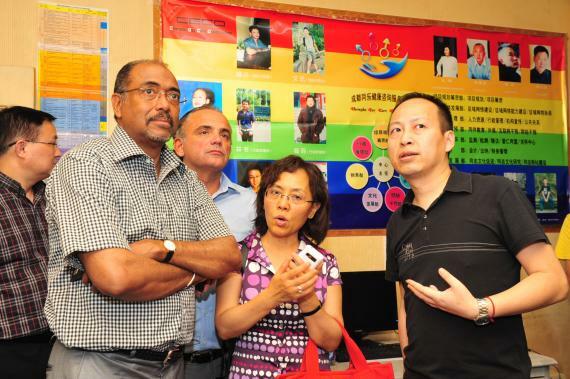 Photo Caption: Chengdu Tongle Office, taken when Mr. Michel Sidibé, the Vice General Secretary of UN and the Executive Director of UNAIDS visited Chengdu Tongle in July 2011.